The ultimate app for Falconers. Available now on iOS and Android. Stay up to date with all the latest news of The Falconry App. The Falconry App is the only tool you need to access all your birds’ information. Input your bird’s current weight and view historical records with this ultimate tool for accurate weight management. Log feeding times and types of food for your birds – include vitamin supplements for up to date reports to help you refine husbandry and management. A great way to log all your bird’s successes over hunting seasons. Share and compare performance to refine your hunting strategies. Quickfire phone call buttons to your specialist bird vet and the IBR in case of emergency. Upload photos and videos to social media and share with friends and groups, easy to use and all geotagged with location, date and time. 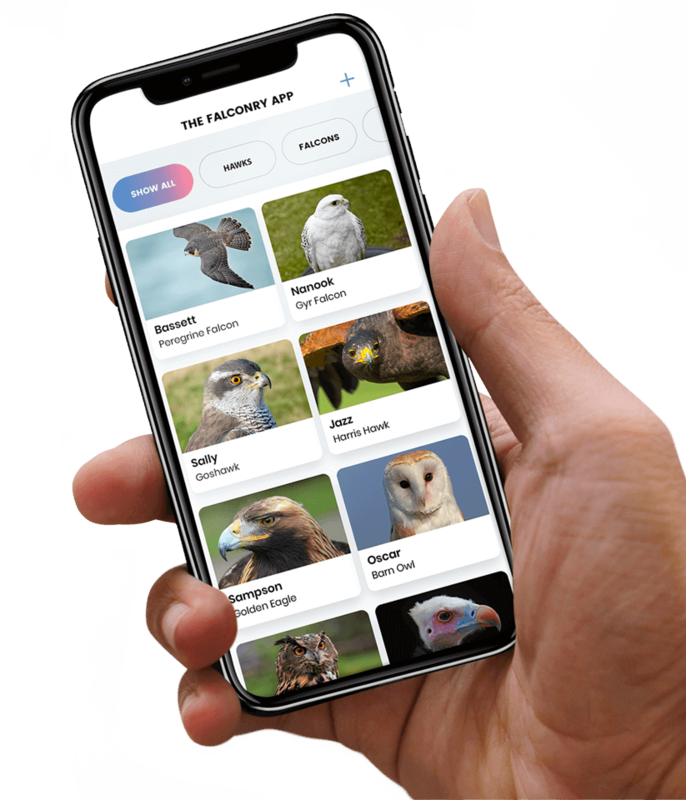 Check out The Falconry App’s Features Video to find out more on its great features, and discover how easy it is to use. Access to your complete daily summary of your bird’s personal details, including ring number, microchip and date of birth. Explore your bird’s records to show comprehensive reports including past flights, food charts, weight and quarry. Choose to add your weights in Imperial or Metric Units. Snapshot View at your fingertips.